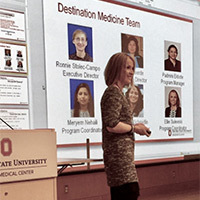 Welcome to the 3rd issue of The Ohio State University Destination Medicine Update! This e-newsletter provides a look at some of the groundbreaking research, innovative patient care and prestigious honors, awards and achievements that make Ohio State’s internationally renowned cancer program a destination of choice for cancer patients and families from around the world. Realizing that every cancer is biologically unique and that no cancer is routine, the experts at The Ohio State University Comprehensive Cancer Center James Cancer Hospital and Solove Research Institute (OSUCCC – James) are transforming the way cancers are prevented, detected, treated and cured. 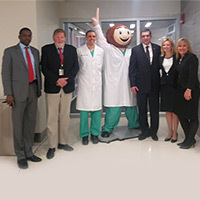 The Destination Medicine (DM) team at the OSUCCC – James and Ohio State Wexner Medical Center is dedicated to ensuring that distance and language are not obstacles to receiving world-class care, opening the door to people from around the globe who turn to us for help. 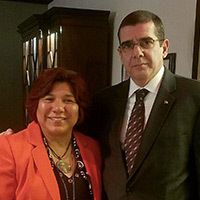 The ambassador of Cuba, José Ramón Cabañas Rodríguez, and Rubén Ramos Arrieta, the minister counselor at the Cuban Embassy's Economic and Trade Office in Washington D.C, recently visited the Brain and Spine Hospital at Ohio State to further explore possibilities of developing a relationship. Milly Valverde, assistant director of Destination Medicine, had the pleasure of meeting both gentlemen during their visit. 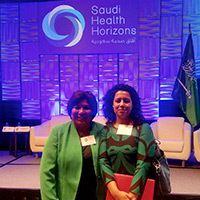 New Horizons and Opportunities in Saudi Health Care System Conference. Attendees at this exclusive high-level conference interacted with a delegation of senior Saudi healthcare executives. Meryem Nehaili is a native of Morocco. As one of the original DM staff members, she has been instrumental in developing the day-to-day operations of the department. 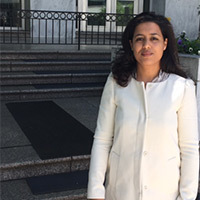 As a French and Arabic speaker she makes periodic visits to various Middle Eastern embassies in Washington, D.C. to strengthen relationships for their citizens who choose The Ohio State University Wexner Medical Center and the OSUCCC - James for their medical needs. Ellie Sulewski, originally from Poland, has been working at the The James for over five years. Before joining the DM team, she worked in the Emergency Department as a patient advocate. 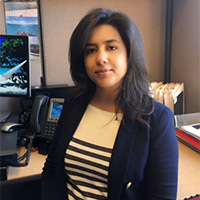 Ellie now leads the effort of educating incoming, and current employees about the range of services offered to international and out-of-state patients by the DM Department. (Pictured presenting during bi-monthly new-staff orientation). Patients are being accrued to a phase Ib clinical trial (OSU-15149) designed to determine the recommended phase II dose of AT13387 in combination with paclitaxel in patients with advanced triple-negative breast cancer (TNBC). 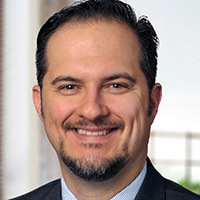 The trial, which also will determine the toxicity profile of AT13387 combined with paclitaxel for these patients, is led by principal investigator Robert Wesolowski, MD, assistant professor of Medical Oncology at Ohio State and member of the Translational Therapeutics Program at the OSUCCC – James. Wesolowski and colleagues hypothesize that combination therapy with the Heat Shock Protein 90 (HSP90) inhibitor known as AT13387 and the chemotherapeutic drug paclitaxel will have an acceptable toxicity profile and will result in durable responses in patients with unresectable, advanced TNBC who have no curative treatment options. The study will test the combination given on days 1, 8 and 15 of 28-day cycles to establish a safety profile and recommended phase II dose, measure the pharmacokinetics of each agent alone and in combination (to study the effect of each agent on the other) and preliminarily assess the response rate, response duration and progression-free survival. Questions and referrals relating to this trial should be directed to study coordinator Debbie Wilson at debbie.wilson@osumc.edu or 614-685-6456.
go.osu.edu/cancerclinicaltrials. To receive a monthly e-newsletter with information on newly opened cancer clinical trials at the OSUCCC – James, send an email to cancerclinicaltrials@osumc.edu. The Comprehensive Transplant Center at Ohio State Wexner Medical Center is the first in Ohio to test Ex-Vivo Lung Perfusion (EVLP), which gives great hope to over 35 million Americans living with chronic lung disease. 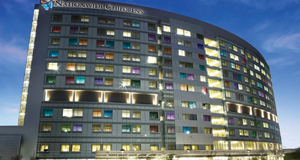 Ohio State Wexner Medical Center is one of six locations nationally studying the safety and effectiveness of using MRI-guided, noninvasive ultrasound beams to treat essential tremors without the need for surgical intervention or radiation. Visit cancer.osu.edu/clinicaltrials for a complete list of all open clinical trials available at the OSUCCC – James. Nathan Frim calls Michael Racke MD, a miracle worker. 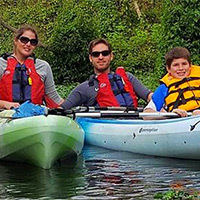 The 44-year-old Frim, who has multiple sclerosis(ms), used to take a pill every day, but his disease progressed. In the past, there wasn’t much Racke or other doctors could do. But along came a drug called ocrelizumab. It’s Racke’s magic wand. The drug, expected to be approved by the U.S. Food and Drug Administration today, has been shown to halt the disease in patients with both relapsing MS and primary progressive MS, said Racke, a neurologist at Ohio State University Wexner Medical Center. This coverage resulted from pitching efforts by OSUWMC Media Relations. A recent study at the OSUCCC – James shows that a targeted drug combined with an oncolytic (cancer-killing) virus causes the cells of a lethal form of brain cancer to die in a way that makes them more subject to killing by a particular immune therapy. The findings suggest that the three therapies together might be an effective treatment for glioblastoma (GBM) and should be tested in a clinical trial. The triple treatment consists of the targeted drug bortezomib, an oncolytic virus and an infusion of immune cells called natural killer (NK) cells. The study was published in the journal Clinical Cancer Research. An international panel of experts has released updated evidence-based and expert-opinion-based recommendations for the diagnosis and treatment of acute myeloid leukemia (AML) in adults. The recommendations were issued by the European LeukemiaNet (ELN) and published in the journal Blood. 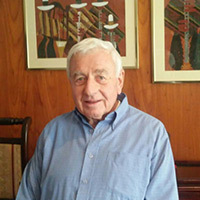 The paper’s senior author was Clara D. Bloomfield, MD, a Distinguished University Professor at Ohio State who also serves as cancer scholar and senior adviser for the OSUCCC – James. A new study by researchers at the OSUCCC - James has identified a mechanism by which cancer cells develop resistance to a class of drugs called fibroblast growth factor receptor (FGFR) inhibitors. Sameek Roychowdhury, MD, PHD, is quoted. This coverage resulted from an OSUWMC Media Relations news release. Can cigarette smoke and the saliva of heavy smokers influence the metabolism of cancer-inhibiting chemicals found in strawberries and the expression of genes associated with oral cancer risk? A pilot study at the OSUCCC – James hypothesized that they can, and initial data reveals intriguing differences in the oral microenvironment of smokers versus non-smokers. The researchers reported their findings on April 4 at the American Association for Cancer Research (AACR) 2017 Annual Meeting in Washington, D.C. Jennifer Ahn-Jarvis, PhD, a postdoctoral fellow in The Ohio State University College of Dentistry, was first author of this multidisciplinary study. The Skull Base Center at Ohio State treats all patients with skull base diseases, including paranasal sinuses, spine, brain and pituitary tumors. There is no routine skull base tumor. And the skull base program at the OSUCCC – James is anything but routine. 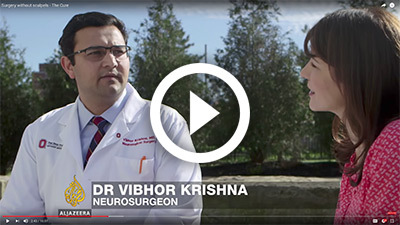 We have a world-renowned, multidisciplinary team of skull base experts who are transforming the way skull base tumors are diagnosed and treated, optimizing outcomes for patients and improving their quality of life. 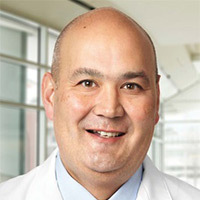 Our physicians pioneered minimally invasive techniques, such as the endoscopic endonasal approach (EEA) to skull base surgery. Our surgeons are internationally recognized leaders in minimally invasive surgical approaches such as EEA and endoscopic brain surgery, as well as traditional surgery. Our skull base reconstruction surgeons use state-of-the-art techniques to restore form and function, personalizing treatment for each patient. Our laboratories have ongoing research projects aimed at improving instrumentation and surgical techniques, enhancing diagnosis of cranial base disorders and developing new approaches to difficult-to-reach tumors. Visit cancer.osu.edu/skullbase for more information about our program at Ohio State. Michael A Caligiuri MD, became president of the American Association for Cancer Research for 2017-2018. 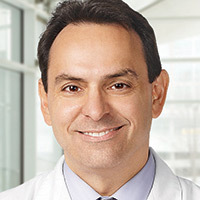 Caligiuri is director of The Ohio State University Comprehensive Cancer Center and CEO of the Arthur G. James Cancer Hospital and Richard J. Solove Research Institute. 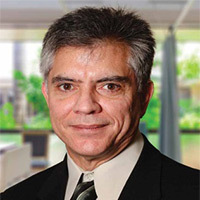 He also holds the John L. Marakas Nationwide Insurance Enterprise Foundation Chair in Cancer Research and is a professor in The Ohio State University College of Medicine departments of Cancer Biology and Genetics, and Internal Medicine. Caligiuri is a physician-scientist known for his work in immunology in the treatment of leukemia, myeloma and glioblastoma. 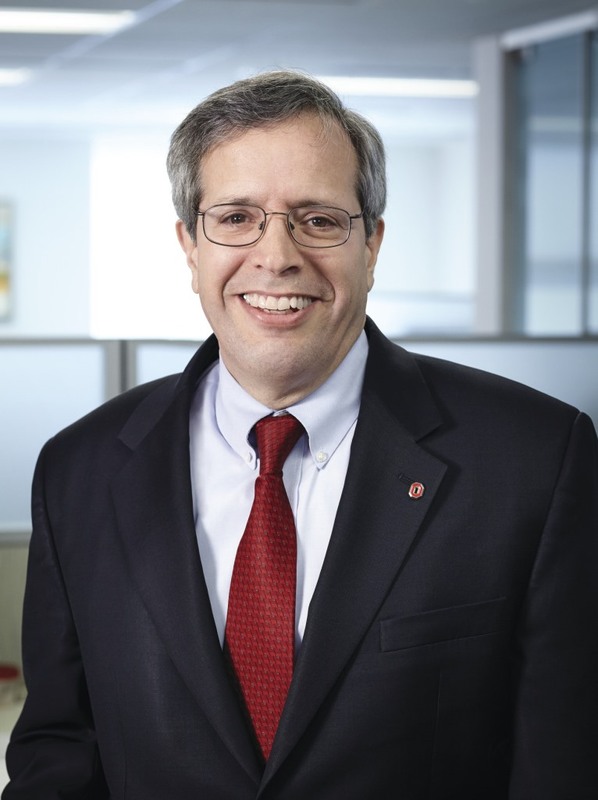 Cancer health equality will be the major focus of Michael A. Caligiuri, MD, during his yearlong presidency at the American Association for Cancer Research. His three priorities as president are reducing health disparities; recruiting, retaining and promoting clinical researchers and scientists from underserved populations; and communicating effectively with survivors and patients about strategies to prevent cancer, as well as opportunities for clinical trials, prevention and treatment. The OSUCCC – James has launched a third statewide clinical cancer research project—the Ohio Prevention and Treatment of Endometrial Cancer (OPTEC) initiative — that is supported by funding from Pelotonia, the annual grassroots bicycle tour that has raised over $130 million for cancer research at Ohio State since 2009. Building off the foundational science and community hospital network that was developed during the OSUCCC – James’ first statewide Pelotonia-funded project (the Ohio Colorectal Cancer Prevention Initiative), the OPTEC project will recruit up to 700 women with endometrial (uterine) cancer from across Ohio who will be screened for Lynch syndrome (LS) and other inherited genetic conditions that are linked to an increased risk of endometrial, colorectal, stomach and ovarian cancers. Tumor samples for these patients will undergo molecular profiling to identify targeted treatment approaches personalized to each patient’s tumor characteristics. Further, patients identified with LS and their at-risk family members will be educated on the importance of genetic testing and cancer-prevention strategies based on their increased risk for LS-associated cancers. The OPTEC project, which will receive $1 million in Pelotonia funds, is led by David Cohn, MD, and Paul Goodfellow, PhD, with multiple collaborators from the OSUCCC – James and Nationwide Children’s Research Institute. Uruguay: "Mi permanencia en el hospital fue algo así como un descanso turístico. Ni siquiera me di cuenta que me habían operado. Por otra parte, la atención de todo el personal técnico fue no solo amena, cordial y eficiente, sino también una demostración de profesionalidad que me hicieron sentir muy confortable durante mi estadía. Los mismos conceptos son extensivos para los funcionarios administrativos y de coordinación de Destination Medicine y los interpretes que cumplieron una labor eficiente". Click here to read more about Brazil Gateway in its Newsletter.